Welcome! Before you invite us into your home, we are mindful of the importance of introducing ourselves. Taylor Made Construction is a multi-generational, family-owned construction company operating in Northern California. 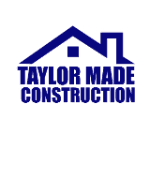 Our long standing tradition of quality craftsmanship, superb customer service, expertise, and generations of experience have established Taylor Made Construction as a dependable and trustworthy company. With all of that said, we are grateful for the opportunity to tell you about ourselves and thank you for checking out our website. We hope that our product descriptions earn your business, and we look forward to building a relationship that lasts for many generations yet to come.